A subluxation is a condition wherein a vertebra or a region of the spine has lost its proper alignment and capacity for movement in relation to its neighbouring vertebrae. In short, this is when your spinal vertebrae are out of normal alignment. This creates a disturbance, irritation, tension, and pressure on the nerves in and around the area. This impedes nervous system function. Since the nervous system controls and coordinates the body, subluxations can cause pain and dysfunction in the bodily systems. Left untreated, subluxations negatively affect the whole health of the body. These can be easily treated through chiropractic adjustments. Subluxation, in chiropractic terms, is another word for a slight dislocation, misalignment, or joint dysfunction of one or more of the spinal joints. It tends to irritate or aggravate the nerve roots coming from the spinal cord itself. The results of a subluxation may include pain, muscle changes, and organ dysfunction – depending on which nerves are being affected. Causes of subluxations fall into three broad categories: physical, chemical, and emotional. Any bodily trauma like car accidents, falls, sports injuries, heavy lifting, surgery, or genetic weaknesses can cause physical subluxations. A repeated posture like leaning uncomfortably forward at a desk can factor into subluxation patterns. A difficult birthing process, for mother and child, is also a common cause. When looking at root causes for chemical subluxations, we look to environmental factors and substances taken into the body, either through the lungs, skin, or digestive system. Habitual smoking, illegal and legal drug use, excessive use of alcohol, chronic dehydration, and poor nutrition, are some of the factors too. Emotional subluxations originate from stress on the mind and body. This can range from something small, like the stresses from the daily grind to major emotional stressors, such losing a job or loved one. Uncontrolled stress is a major factor in the deterioration of health. Many patients report an increased ability to manage stress after beginning chiropractic care. Lastly, though subluxations create trauma on the body’s nervous system, not all of them are painful. Sometimes, the body becomes so accustomed to dealing with the nerve interference, that it goes unnoticed by the patient. But, pain isn’t the only message our body sends us. Other indicators like digestive upsets, headaches, low energy level, depression, trouble sleeping, trouble breathing, and neck pain can also indicate subluxations present in the body. A few simple tests can determine if and where you are subluxated. The focus should be on the discovery and correction of these subluxations before they permanently damage the body. 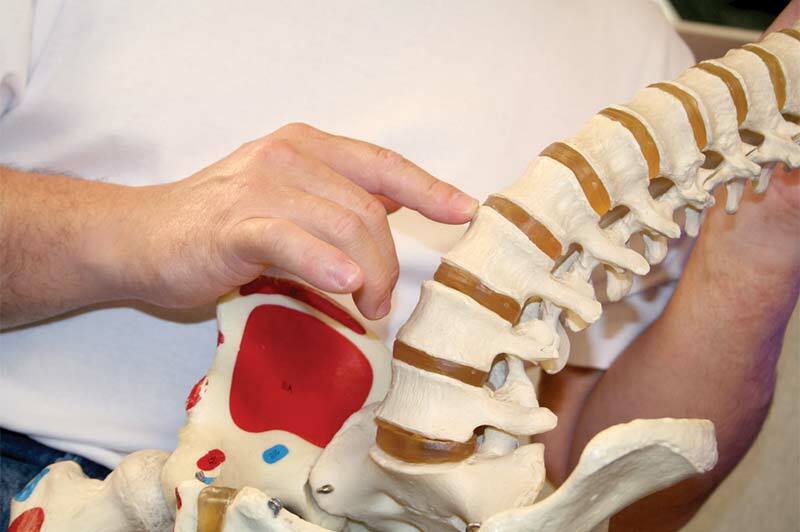 Chiropractic care is based on the premise that the body is governed by its nervous system. In cases where this has been upset from its normal, healthy function by a subluxation in the body’s skeletal (bone) structure is when we naturally turn to chiropractic – to help restore normal, natural function to the joints and reduce nerve message distortion. The result of this successful adjustment is a body in harmony with itself and with its surroundings. Bodily harmony in relation to the spinal vertebrae and other bones can result in “reduced pain.” In turn, reduced pain also leads to physical and mental harmony; each one feeds (or serves) the other. To put it simply, a spinal adjustment or chiropractic adjustment is a gentle corrective force applied by the chiropractor to the patient which corrects spinal subluxations. This gentle force is given by the chiropractor’s hands, or with specifically designed chiropractic instruments. Chiropractors work on the principle of reducing interference so the nervous system and body can work better. Provided that any symptom or condition is occurring as a result of nerve interference from vertebral subluxation, there is a very good chance that it will improve through chiropractic care. Chiropractic procedures, as mentioned elsewhere, are created for individuals. Whereas there is no “standard” treatment for heart surgery in medicine, so it is with chiropractic care and how your spine is affected by the stress or injury to it. You, as an individual, need to be cared for as such. It is common sense that someone aged 11 with a subluxation in the spine will require less pressure during the procedure to correct, and possibly fewer adjustments than, say, a 50-year-old whose muscles and skeleton may not be as pliable. Once the symptoms have eased, you can choose to follow a programme of care for rehabilitation. Some conditions involving spine and subluxations and the resulting discomfort do tend to return for a variety of reasons – usually due to postural and physical stress on the body. If this happens it is an idea to visit the chiropractor and ensure all spinal joints are still moving correctly and then restart a period of spinal strengthening.